Welcome to 1641 Fitzwater Street, Unit A! This stunning new construction condo has features high end finishes and exudes luxury. Enter through the private entrance into the main floor features a spacious living room with Red Oak hardwood floors that have been stained Dark Walnut. The chefs kitchen offers white cabinetry, quartz countertops, stainless steel appliances, and a custom tile backsplash. Sliding doors provides access to the back patio, which is the perfect spot to entertain, with built-in lighting and speakers. Upstairs, youll find a luscious master suite, with elegantly finished bathroom, large closet, and a private deck with built-in speakers. Two additional bedrooms are located on the lower level, along with the laundry area and two additional full bathrooms. This unit features in-ceiling speakers, a video intercom system, and Nest thermostats. Situated in the heart of Graduate Hospital, there are shops and restaurants just steps away. 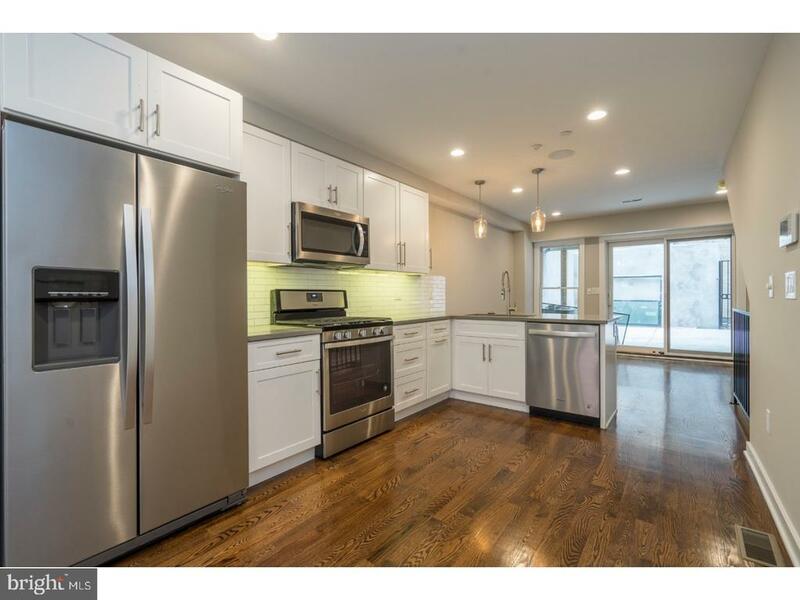 Dont wait, schedule your showing of 1641 Fitzwater Street, Unit A today!